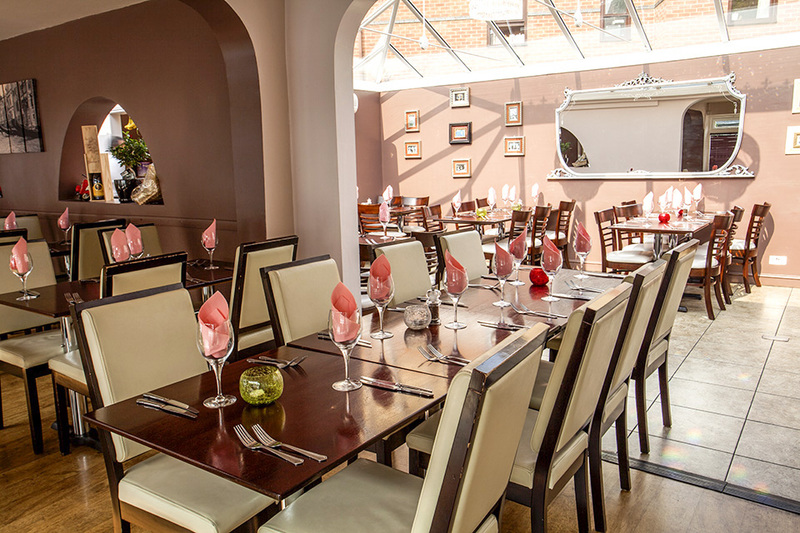 For just £26.90 make it special this year and treat your father to a delicious three course meal at Amore's in Beeston. Book online for free text confirmation or call 0115 754 0156. The valentine 3 course package was excellent value including fish and steak for almost the price of one of those dishes. We had to wait 25 minutes before seating though. We probably wouldn't have had dessert if we didn't have the offer as we were already full after two courses. Really good food and great service best place I’ve been to in a while by far. Could not fault Amores the service and food was excellent with very generous portions. This visit was for a special occasion and it didn't disappoint we certainly be back. All I can say is excellent service, food and restaurant! Excellant restaurant, would highly recommend it to anyone. Great service and excellent food! Absolutely beautiful meal at Amore's and the best fillet steak I've ever had. 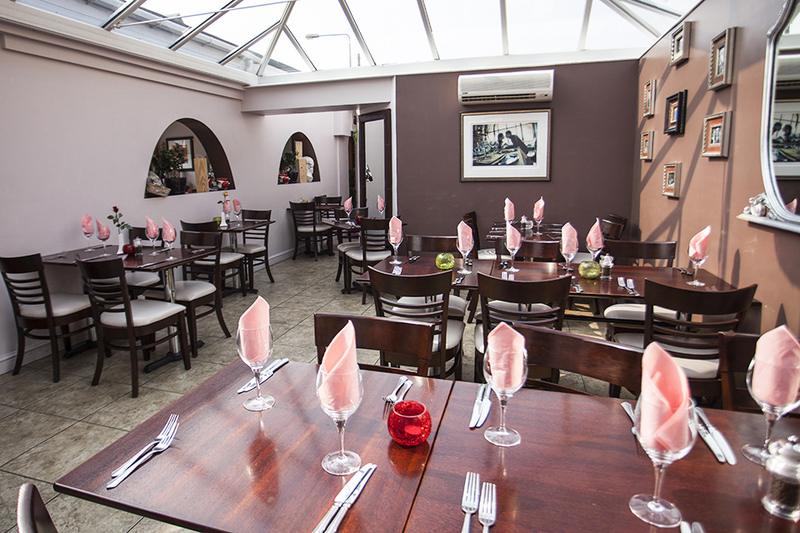 The staff were very friendly and created a lovely atmosphere. We shall definitely be going back! Had a lovely meal at Amores in Beeston. There is a great deal of choice on the menu. 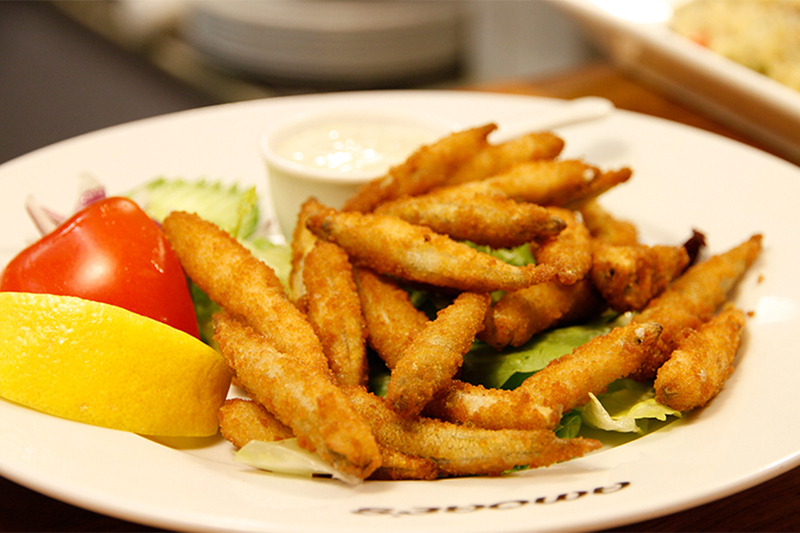 I had a lovely starter of calamari strips, king prawns and white bait. The main was a chicken and mushroom risotto that was perfect. The wine was delicious. The service was quick and attentive. The setting is rather nice too. All in all a lovely meal, the service was quick and attentive even though it was a bank holiday Monday. Really enjoyed the food. It was very hot but I would have been worried had if it had been cold! Ambience was good. There was a group in that had newly-weds and they were very rowdy but in a good way. Service was good and we got our drinks and food within a decent time. Overall good experience and nice food. We booked for early evening. The meal was superb, I had steak and it was the best steak I have had in a very long time. The staff were very friendly and attended to our every need. A lovely experience for my birthday; going again on 23 January for a leaving do for someone at work. Can't wait!!!!!!!! The food and staff at Amores are fantastic. It is not the cheapest Italian meal you can get, but you can't fault the quality of the food and service. Had an absolutely fantastic birthday dinner with the wife and family! Staff were professional with our large party group! Would definitely book again! Always super food at Amores. Always noisy, as is common with Italian restaurants. Their pasta is top notch. One of my favourite Italian restaurants. It can get a bit noisy as it fills up but that's only because everyone's chatting and having a good time. 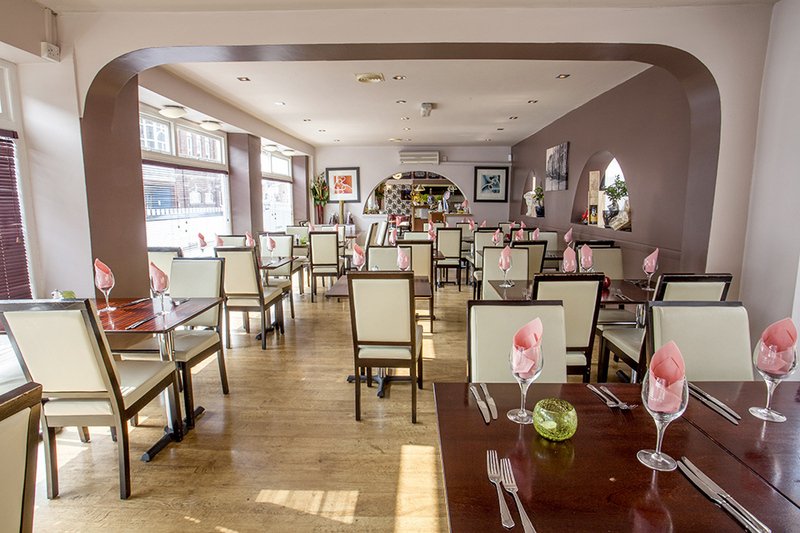 The food is always spot on, the staff are really friendly and helpful and the restaurant is very comfortable. I highly recommend a visit. Nice, authentic food though the service lacked passion. Fantastic authentic food, reminded me of my trips to Florence, Italy!! 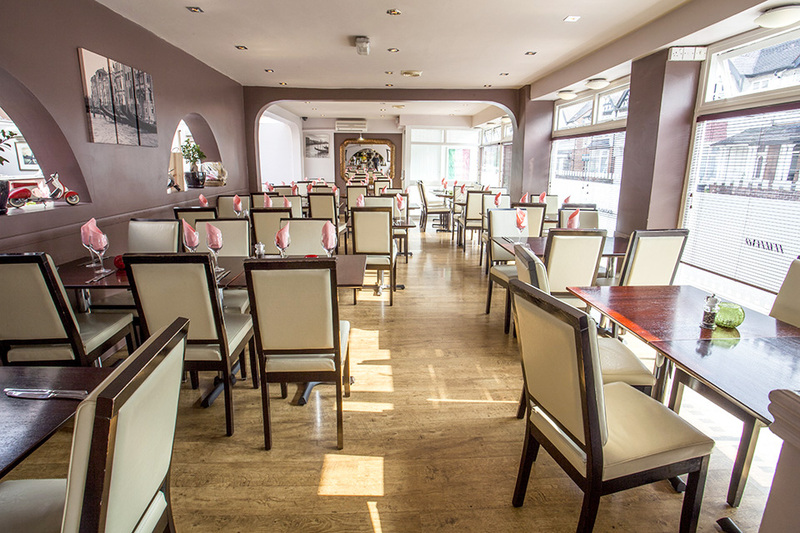 Once upon a time, Amores Italian restaurant in Beeston, Nottingham was a venue that could hold just sixty people. Fast forward a few years and Amores has been transformed into a spacious, contemporary bar, lounge and restaurant able to cater for the most intimate of meals and largest of celebrations. 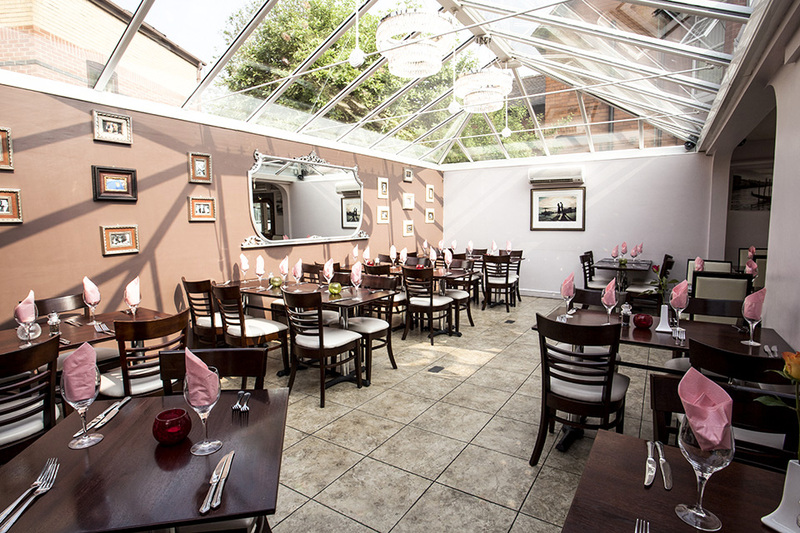 Situated on Station Road, just off the Queens Road West and a short walk from the train station and Chilwell Manor Golf Club, Amores is easily accessible and perfect for a night out. Upon entering the restaurant diners receive a warm welcome from the family who have been running Amores since it first opened in 2003. Stepping into the venue you have the well-stocked bar immediately in front of you where you can order a drink before taking a seat in the comfortable lounge. With large leather sofas and artwork adorning the walls depicting some of the most beautiful landmarks in Italy as well as additional bar seating, the lounge is relaxing, sophisticated and has a continental ambience; perfect for enjoying a glass or two of wine before moving on. 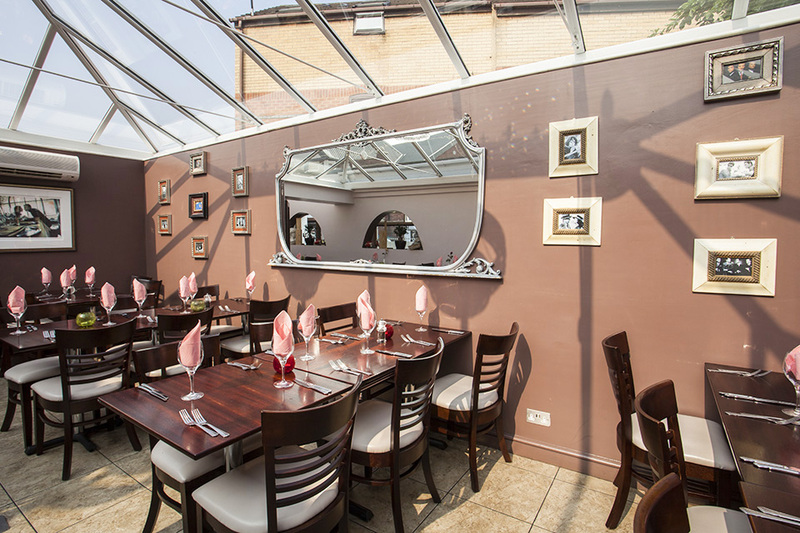 The dining room itself has doubled in size since opening and boasts a bright and airy conservatory that’s perfect for those special celebrations. 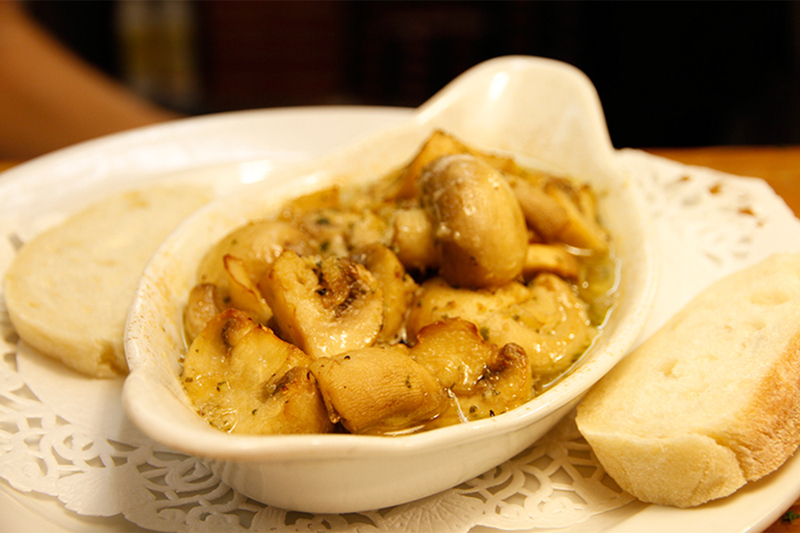 Amores pride themselves on serving authentic Italian cuisine from all regions of Italy. 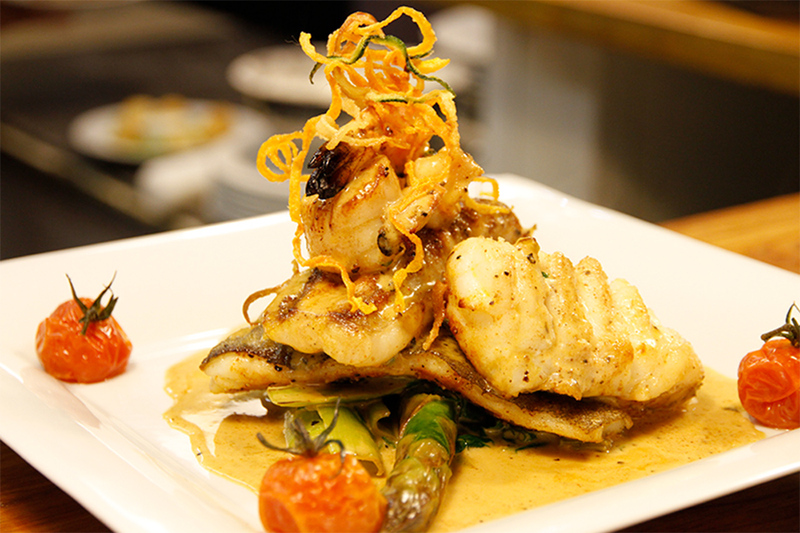 You can expect everything from the classic pizza, pasta, risotto dishes to the more unusual creations. There is also a selection of veal, beef, fish and chicken dishes on offer such as the Vitello Saltinbocca; a tender veal steak pan fried in butter with parma ham, marsala and topped with a sprinkling of fresh herbs; Spigola alla Giriglia, a beautifully crispy whole sea bass with salty skin, butter and white wine and the rich Pollo Stroganoff made with chicken and mushrooms in a rich brandy and cream sauce with a hint of mustard. As you would expect, there is a large selection of wines to suit every budget as well as a well-stocked spirit and beer selection to accompany your delicious home-cooked meal. 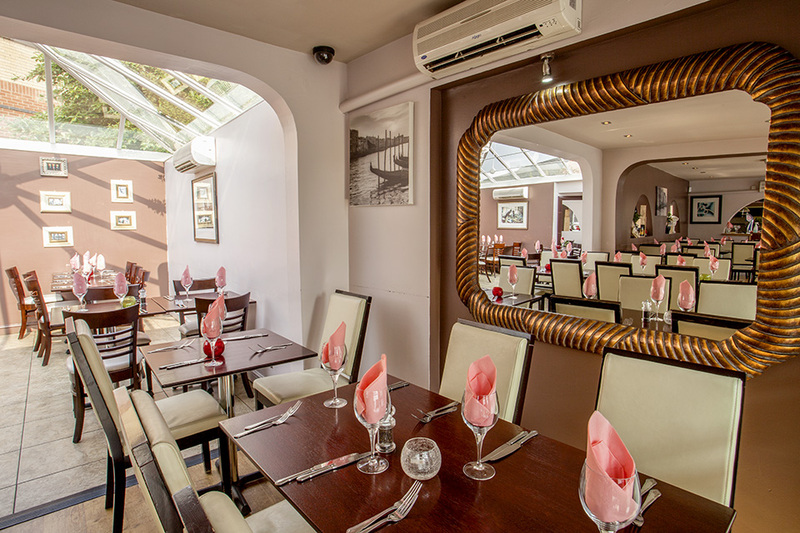 Amores Italian restaurant in Beeston has been a firm favourite with locals and visitors for years; it's incredibly easy to see why. The contemporary continental bar, lounge and restaurant is relaxing, welcoming and full of Italian passion. Book your table today! 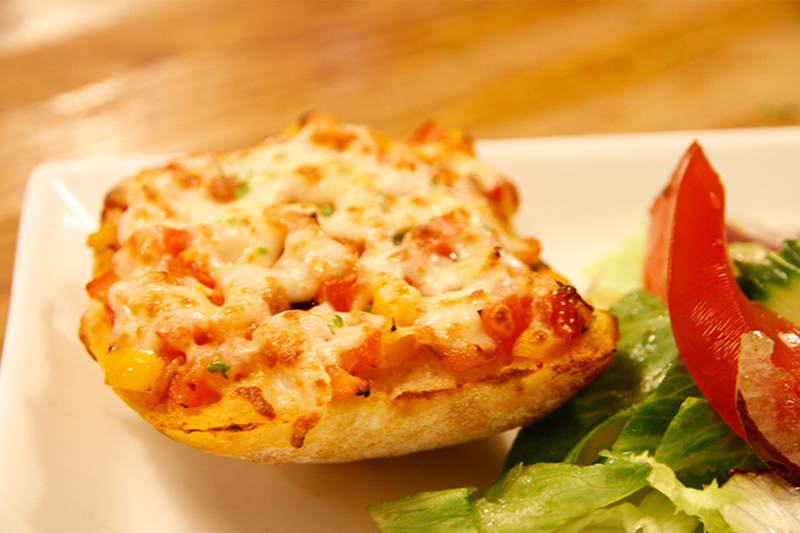 All our chicken dishes are made using Free Range Chicken breast. Please ask for our fish special of the evening. 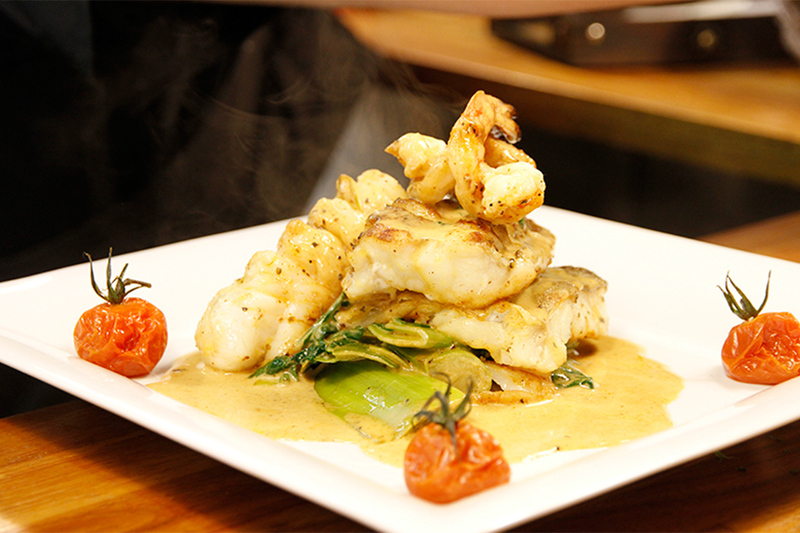 *48 hour notice needed for Dover Sole & Lobster Thermidor. Price at market value. All our dishes are seasoned and grilled. Selection of vegetables, garlic & a sprinkling of herbs - vegetarian favourite! Pomadora sauce, jalapeño chillis, onions & peppers & a hint of fresh garlic, make this a nice spicy pasta dish! Our chef’s homemade italian meatballs in tomato sauce, a hint of fresh garlic & parsley, a favourite italian pasta dish! Char-grilled chicken breast mushroom & asparagus, subtle combination of basil, black pepper & a hint of fresh garlic gives this dish a great taste! 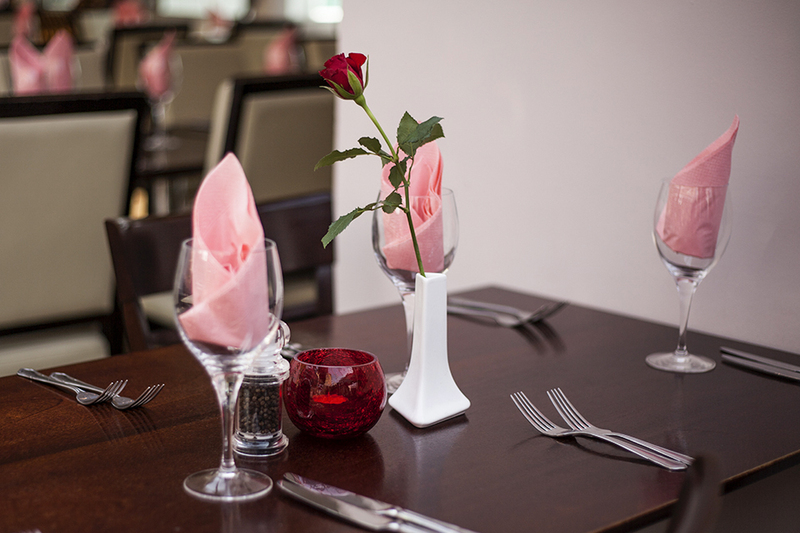 For just £26.90 make it special this year and treat your father to a delicious three course meal at Amore's in Beeston.